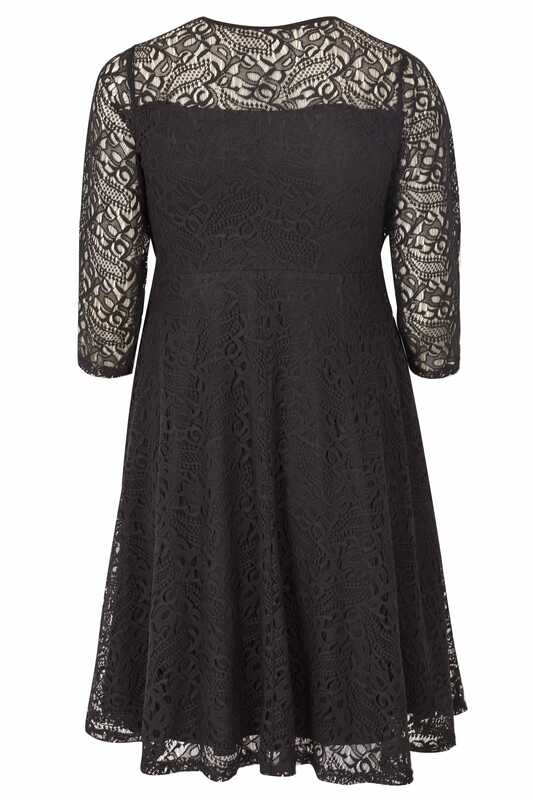 Create a classic evening look with this elegant skater dress. 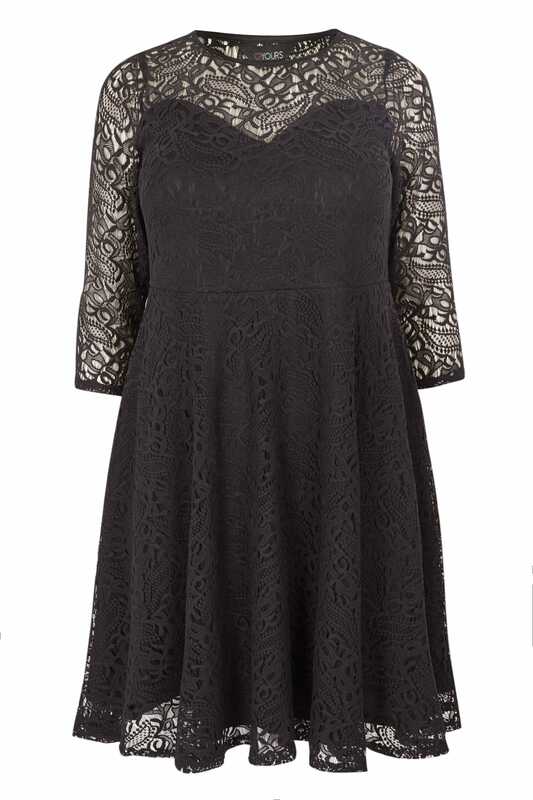 Elevated with all-over lace detailing, it features a comfortable jersey lining, 3/4 length sleeves and a feminine sweetheart neckline. Team with a pair of block heels and a statement clutch bag for an elegant evening look.